Every new Google algorithm update becomes a new challenge for SEOs. E.g., the latest one pretended to turn the last page of link building history. It seemed that the small business owners lost the last hope to get visible on Google without paying for super expensive Google AdWords. Otherwise, such site owners were under the risk to find their sites stop dead in the middle of top 100+. It’s hard to believe, but many people who were buying links have succeeded to save their rankings and even to improve them. We have run a research and have found out that they did not only got better rankings, but also managed to save money while running their link popularity campaigns. Simple improvements they plemented into the link building process helped them to cut considerably their expenses. At the same time, the increase of their sites rankings on Google remained stable and intact even after the Penguin Update. Here are 3 main tips how to save your money while launching link building campaign given by our clients who found their sites on the Google top 10 even after the latest update. The word campaign implies duration. It must be something that lasts for a long, long time. You don’t need to buy lots of high ranked links at once. 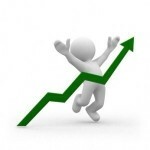 You should purchase links little by little day after day, month after month. Regular pace of link acquisition is a thing Google likes the most when indexing your links. The right velocity makes your links look natural to Google, unlike the case when 10 or 1000 links appear in your backlink profile in one day. Thus, even with fewer regular expenses you can have better result than when overpaying for links “in bulk”. That’s the thing which seems to have nothing to do with link building. But it’s wrong. Your links are indexed every time when Google spider comes at your site to crawl your pages. The more frequently it visits your site and the more pages it crawls in one time, the more backlinks pointing to your site are indexed and the higher your site on SERPs. That’s why we DO recommend you to regularly refresh your site contents. It will make Google spiders visit your site more frequently. More of it, you should create the sitemap containing the internal links pointing to every significant page of your site. Once Google spider gets at the sitemap page, it will crawl all the pages linked to this one. So, all your webpages will be crawled at once. On the other hand, Google likes the sites with sitemaps because of their simplified internal navigation which is helpful for the site visitors. 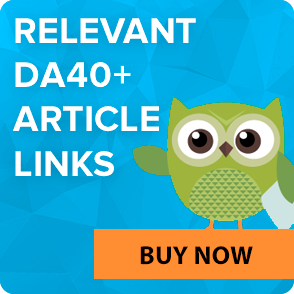 As the result, your high DA and PA links will be indexed entirely and more frequently with no expenses at all! You maybe know what the deep linking is. If not, please be noticed that this is the SEO technique of building links pointing to the inner page of your site, to the one which contains the most important information you want to share with your visitor. The perk of deep linking 2.0 is that you will get better results on SERPs, if you manage to get the specific anchor text link on the backlink page which will be the inner page. Meaning: the backlink placed at www.onessite.com/inner_page_1 will pass more “link juice” than the one placed at www.onessite.com on the condition that both pages have the same DA and PA and the same or almost the same amount of outbound links. There’s no secret in the fact that Google struggles for the relevance on SERPs. That’s why the URL precision is considered to be the trait of topically related sites. Consequently, such links improves your Google reputation, and they usually cost less than the ones on the front page of one’s site. The next step here is to diversify your keywords. The natural linkage cannot be targeted to the only anchor text. That’s the reason for you to run the capaign for 3-5 keywords simultaneously. It will prevent your links from being treated as unnatuaral by Google. Otherwise, all you investments can go to waste. To sum it up, please be noticed that the link popularity campaign is the integral part of your overall SEO activity. The link building is probably the most important but not the only factor of achieving the final goal. If you draw more attention to the details, you will see your site hit the top of Google and you will save the budget from unnecessary expenses.